Did you fall in love with your opposite? I did. Not only did I marry Shannon Nicholson, my opposite in love, I also created Wasabi Publicity with Drew Gerber, my opposite in business. It’s true opposites attract. But do they attract media coverage? You bet. Relationship facts, tips and quips for sure get the attention of the media. Why? People love to read and learn from other people’s trials and tribulations. Here I am admitting to crying on vacation with my husband in the Wall Street Journal’s Personal Journal Column called “Bonds.” Be vulnerable. It makes a great story! The journalist was researching whether planners and non-planners can make it work. I know for a fact it can and actually build my media team with opposites. You need the creatives, organizers, money minders and general jokers to make a good team thrive. The other recommendation I have for you is journal about your life’s experiences. Snap photos. Shoot videos. You never know when the media will need candid shots (for which you need to own the copyright). We took the photos included in this 2011 Wall Street Journal article in 2004. Wow. 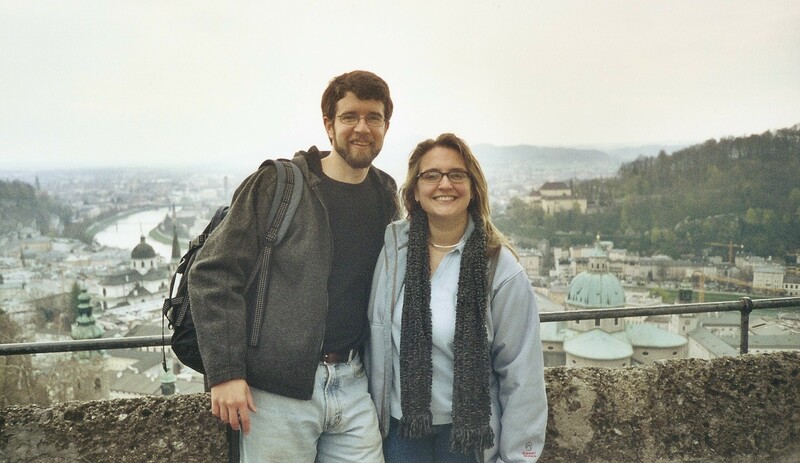 They were even taken with one of those old cameras that took panoramic views. Remember those? It’s a good thing too, because the photos brought back memories I could share in my interview. (The crying on an overnight train I remembered without help, though 😉 Lately, I’ve been journaling on Penzu. I love it. It even sends me reminders to write. My husband captures all his adventures in a little leather-bound journal he keeps next to his bed. He adds photos from time to time. Whether you’re a planner, like me, or a fly-by-the-seat-of-your-pants guy, like Shannon, keep fun photos, details and lessons learned. You never know when your life will make a difference for a journalist and by proxy, millions of people reading the media coverage using your life as an example. Your life may become the ‘characters’ in the story the media’s spinning. I hope you enjoy the “How to Hire a Publicist” article by Joan Stewart. In that article, she links to an older blog post of hers that lists my fav ways to leverage media coverage. I thought it would b e a good refresher here as well. Let me know what value you get from it. Love those links so feel free to send them along to me. Happy Holidays everyone! How to Hire A Publicist! Michelle Tennant Nicholson (yours truly) was mentioned in this great article about how to hire a publicist. Enjoy! 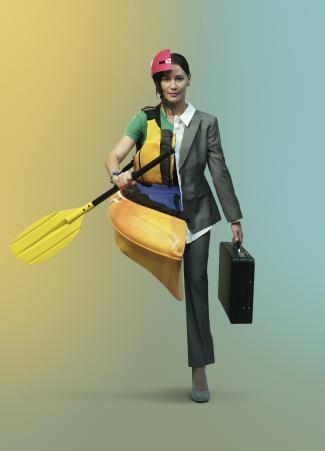 This image of a half kayaker/half business woman is from an article on the TEN MOST FLEXIBLE CAREERS for women in MORE Magazine this month. I’m featured. In fact, I’m the half paddler half publicist who inspired the graphics team to create such an amazing image. Read my story. After the article was published, I decided to use it as inspiration for a keynote address I was giving at a local church. My speaking appearance was captured on video and it’s below. If you’d like to download the worksheet and take the 20 minute workshop on releasing fear to be the best you can be, find it here. Nelson Mandela’s quote greatly inspires me each day and in this women’s workshop I deliver at Providence United Methodist Church in Forest City, NC, I lead ladies through a series of questions to face their fears and let their inner light shine. It’s a quick 20 minute workshop with a worksheet and maybe you’d like to check it out too. Work along as you watch the following short five videos (20 minutes total to breaking through fear in your own life). Let me know if this makes a difference for you, too. You are currently browsing the Michelle Tennant Nicholson blog archives for November, 2011.